Who is responsible for Off-shore development in Ireland? Are private developments allowed? What are the planning regulations and procedures? Has OWE been proven to be economically viable? Given the harsher nature of the seas around Ireland are these examples relevant? What are the regulations with regard to bringing the energy ashore? Will on-shore connections be publically provided? What are the factors which make a site suitable for OWE farming? Are the long-term potential environmental impacts of OWE farming known? 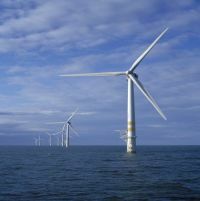 In Feb 2008 the Minister for the Department of Communications, Marine and Natural Resources announced a new proposed amendment to the REFIT scheme, incorporating a €140 per megawatt hour support for offshore wind farm development. In addition to the normal planning processes that on-shore developers encounter, it should be noted that off-shore developers need to secure a foreshore licence from the Department of Environment, Heritage and Local Government in order to proceed with offshore works or development. More information on the requirements for foreshore licencing is available from the Department of Environment, Heritage and Local Government website here. Offshore wind technology has been shown to have proven economic viability. 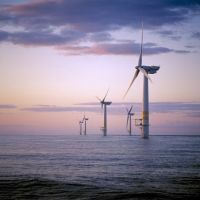 There are many off-shore wind farms currently in operation around the world with a high concentration located off the coasts of Denmark, a world leader in terms of wind energy. While the initial installation costs are considerably higher than on-shore developments, the wind speed yields are also, on average, higher. There is also the recent proposal to amend the REFIT scheme to consider, providing for a supporting reference price of €140 per megawatt hour for offshore wind farm development. While the seas around Denmark would be in the main a different proposition to the more extreme weather and sea conditions experienced along the Irish coasts, the Blythe Offshore power station in Northumberland, UK is one such station which could be regarded as being constructed in a location with environmental conditions that are largely similar of those that might be expected at the more exposed sites being considered by Irish developers. No, onshore connections will not be publicly provided. Off-shore developers will have to buy/lease an appropriate piece of land to provide for their own connection point on-shore. "...Intending applicants for Foreshore Leases should ensure that preliminary discussions are entered into with the appropriate local authority(ies) at an early date and that there are no insurmountable difficulties facing the land based element of the development. Foreshore Leases will be contingent upon planning permission for the land based element being in place...."
The Department's "Note for Intending Developers" and other related information is available for download here. Given that an adequate wind resource is present, academic research* indicates that for feasible OWE sites, the necessary conditions are; a seabed slope of not more than 5% and a total water depth not exceeding 35 metres. The distance from the shore will have a large impact on the construction costs which intuitively increase the further the site is from the shore. It should also be noted that the distance from the shore will also effect maintenance and operational costs. As with any large development project, it is both common and advisable practice to carry out an Environmental Impact Survey (EIS) before commencing construction. Due to the relatively new status of off-shore wind, there is a consequently a limited amount of research on the potential environmental impacts of large scale wind farm development. -The potential disturbance of wave pattern, which may effect important local water amenities such as wind-surfing, surfing, boating etc. -The potential disturbance of important seabed resources such both cold and warm coral reefs.